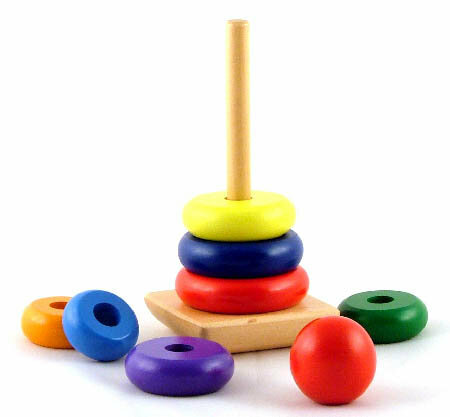 Infant Rainbow Stacker is a classic infants toy. This stacker is bright and colourful with large rounded pieces. Beautifully finished the stacker is perfectly smooth with a slightly rounded base to make it safer for your infant. Size: 22cm high with a 9cm square base. We like this because: "Getting all the pieces in the right order is a real achievement and needs lots of applause."